This is a bit of an experiment for me. I have absolutely no path outlined for this blog because I think I’ve hit a mental clutter-point. There are so many things on my mind right now that bringing just one into focus is trying at best. I’ve hit a wall with my book…not a tall wall but stumble-height. That’s why the above jigsaw puzzle came into the picture. It was meant to be a distraction, a bit of an escape from everything else for a while. I had to buy it for the subject matter. I am a wolf supporter. The first wild animal I encountered when my family moved from England to a farm in Ontario, Canada in 1955 was a wolf, or rather a small pack of wolves. Other than the incredible shriek of a steam whistle in the Montreal railway station as we boarded that train for the last leg to our new life, the howl of a wolf is the sound I remember most from those days. It scared me. I was brought up on fairy tales where wolves were always the bad guys. I heard those howls many times and on three occasions I saw those wolves from my bedroom window. They would casually make their way across the field a few hundred yards away unaware that they were dispelling all the stories I had heard. They jumped, yipped, and played…and were not frightening at all. The neighboring farm belonged to Mr. South. I never knew his first name but I wish I did. He was also the school bus driver and every morning he’d pick me up at the end of the road in his dusty green panel wagon and chauffer me to a little one-room school near Roblin. I told him I had seen the wolves and he laughed as though it wasn’t that big a deal. He told me how the wolves would come and go and that they were always crossing behind his house too. In typical paranoid kid fashion I asked why he didn’t shoot them. He told me that they were God’s creatures and as long as they weren’t bothering him or his cattle, he wouldn’t bother them. Then he explained the last thing you want to do is break up the pack…that causes no end of trouble. It was years later that I learned how wise this old boy was. Not book-wise…life wise. Back to the puzzle. It’s 3D, which doesn’t really come across in the photo. Depending on the light or viewing angle it changes colors and sometimes pieces that don’t appear to belong actually do belong. I spent about a week putting it together only to discover that there was one piece missing. Instantly my thoughts, evil and threatening, went to the factory and the shoddy quality control but moments later I discovered the piece still entangled in the plastic bag inside the box. Then I realized that I had too quickly assumed that someone else was at fault for this grievous error. I hereby publicly apologize to the worker in the Chinese factory that packaged my puzzle. I messed up…sorry. At the same time as I completed the puzzle a message came on my facebook page. Animal Planet was running a program on Monster Week falsely depicting wolves as over-populated, man-eating murderous killers “who threaten us as never before”. I went to the site and yes, amid giant squids, eels, and a sundry of other murderous animals, wolves are monsters and are going to eventually wipe out all human kind. Okay I added the last part but that’s the impression it gives. After studying these animals for five years I can say that everything in Animal Planet’s promo line flies in the face of science but then it’s all about money and sponsors isn’t it? This channel has become the National Enquirer of television (its top rated program is a “documentary” on mermaids) but that’s the way most of these ‘reality’ channels have gone. It’s all about sensationalism and bucks…truth be damned. Scripted family reality shows have become the norm and some folks are getting mighty rich pretending to be real. It’s all about the audience and these folks are laughing at their audience all the way to the bank. It’s not just these programs but mainstream news is running Kanye and Kim as a top story. Who cares? Obviously a lot of people with too much time on their hands and too many choices. Back in the day when there were a half dozen networks you turned on the news and got…well, real news. Nowadays you have hundreds of networks filling time with programs that would never have made it back when quality was a determining factor and you certainly wouldn’t have had a news channel running repetitive speculation and theory on a plane disappearance for twenty-four hours a day. In the eighties it was widely stated that television had become a wasteland and to my way of thinking it’s gone downhill since then…but I see by the clock on the wall that I’ve run out of time and accomplished nothing but a bit of a rant. I still have clutter but perhaps not as much. Maybe another couple of blogs will free up some more mind space but there always seems to be something waiting in the wings ready to leap into my head and fill the void left by the deletion of solved issues. 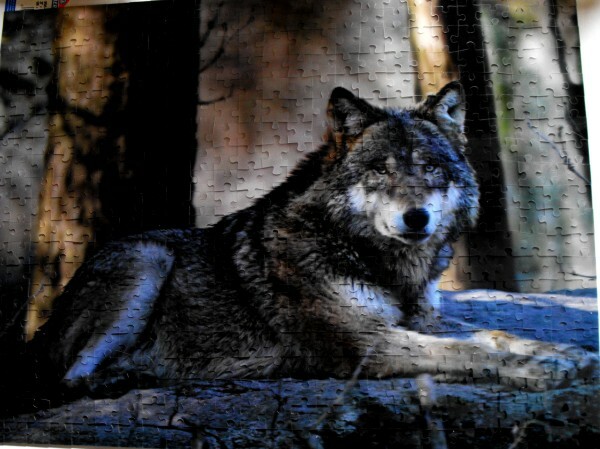 As for those wolves in the 50s…I only saw them the three times over the space of a month or so then they moved on. I’ve come to realize that’s what wolves do. When the time comes to move on they leave and whatever they leave behind is left behind, never to be thought of again. Perhaps we can all learn a little something from that. I offer thanks to all those who signed the petitions or joined me in emailing Animal Planet to inform them of their error. I think it had some impact. 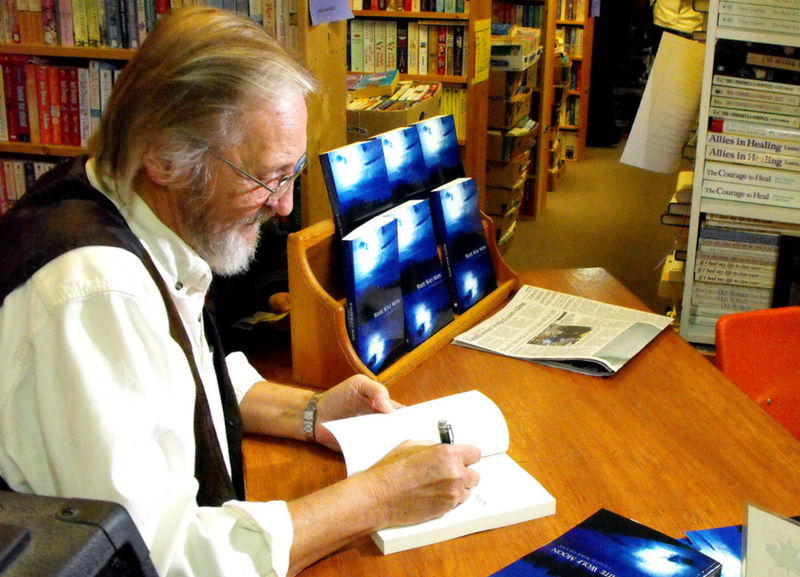 When I worked for At Second Glance Books in Kamloops I would occasionally receive a complimentary copy of a book from an up and coming local or regional author. The purpose was simply for me to read it so I could speak with some knowledge of the product if anyone asked. Fortunately with some titles nobody asked. Last week while organizing my library I stumbled on a few of these self-published works. After shelving the other books into a somewhat systematized array I sat in my chair and did some selective reading and, of the three I scanned, I quickly discovered something they all had in common. The characters all spoke in much the same ‘voice’. The same patterns, rhythms, and sentence structure was used regardless of which character was involved in the dialogue. As much as I respect and congratulate people who self-publish we all have to be held to a certain standard and something this simple is actually easy to correct. I’ve learned to distinguish voice patterns by eaves-dropping in public. If you listen carefully you’ll soon pick out the little oddities that make some people unique. Shorter sentences, a proliferation of ‘ums’, variance in pitch and pattern, a bit of a stutter…it’s all subtle yet obvious when you listen. 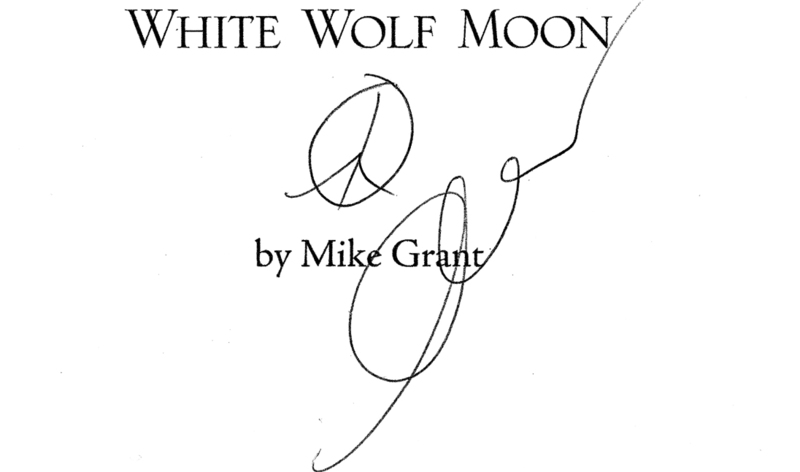 I picked up a copy of White Wolf Moon and did the same selective reading and breathed a sigh of relief. Mostly I had managed to create individual voices for my characters but there were a few areas that I could see readers having trouble following the dialogue especially with some of the longer conversations between Evan and Danny. The real life voices of these two men are surprisingly similar but there are subtleties that I didn’t manage to get across throughout the book. Without regular name tags I could see confusion. The wonderful thing about publishing a first book is what you learn from it. Not just the whole publishing process but the mistakes you made in creating the book, the actual writing. Overall I’m pleased with the way White Wolf Moon turned out but there are some things I’m not anxious to repeat in the second book. When I discovered the confusion in voice I started (once again) from the beginning of the new book and within three pages found areas where the dialogue needed clarification. As the writer you know what it’s supposed to say but the reader doesn’t know where the conversation is going until they get there. It’s important to make the journey as easy and stress-free as possible so I’ve made some minor clean-up changes. I have some unique characters this time around. They speak in a specific dialect using colloquialisms and bad grammar. Those are easy to depict but the subtle differences between Danny and Evan need more work to convey. Mostly I believe it’s in the rhythm and sentence length. Evan is a bit of a thinker and his words are generally more deliberate while Danny talks off the top of his head in shorter, choppier sentences. As I said the differences are subtle but they have to be made obvious in order for the reader to hear which character is speaking. Yes I still need character name tags but I don’t want them every seventh or eighth line unless there’s an action involved. Now comes the part where I digress. As most of you know I am pro-wolf. I used to visit the anti-wolf pages just to get a laugh, mostly at the impressive lack of grasp of the English language that many of these folks possess. For a year or so I copied some of the more idiotic comments into a file simply called “Stupid Comments”. It is interesting to read these comments as a single unit. They reveal a mentality and attitude that borders on total “nutso” and I would think they could provide an in-depth study into some rather twisted psychological traits if analyzed but I’ll leave that for someone who’s interested in such things. When I was creating a backwoods, less-than-educated character for the new book I wanted to use some of these comments as they are genuine and grass roots. Two things happened as I was reviewing these little treasures. One…I gave my character Fergus a couple of these lines and it sounded like a Saturday Night Live satirical skit. The words and dialect were actually too unbelievable for a fictional character. My people have to be real and poor ol’ Fergus…wasn’t. The second thing that happened was that I quickly realized the similarity in many of the comments especially the aforementioned speech patterns and rhythms. After grouping these comments I noticed that, even with different names, some are virtually identical. The same words were misspelled, the same lack of punctuation, and the same catch phrases. Some comments were completely identical even down to the placement of the same text shortcuts (lmao, lol etc.). There is no question that at least four of these “individuals” is the same person and is also an administrator on two different pages. One other individual is behind at least three pseudonyms and even has some interesting conversations with himself. Of course there are many other people on these pages who proudly display their shortcomings when it comes to communication skills. That’s pretty sad…especially when you read a comment like: “Its always a good hunting season just as long as your in the hills right, and my bad i didnt mean that bad really i giess i thought you did but now i know ypu wernt sorry.”. The sad (and shocking) part? If you click on his name it takes you to this man’s fb page where you discover that he is a professor at Idaho State University. I’m not sure what to draw from this experience. These people can’t write and, judging by many of the comments, aren’t all that interested in reading either. Has this computer generation just become lazy or is the education system failing big time? I admit that this is a small segment of the population but it still amazes me that there’s even a segment that managed to fall through the cracks this badly. There’s probably a bigger social issue at play here but again I’ll leave that to someone who enjoys exploring that sort of thing. I don’t frequent anti-wolf pages any more, it’s far too depressing. When I read the dialogue between Fergus and Evan I feel good. Fergus is fictional but real to me. When I gave him dialogue written by real people that I assumed would be of a similar character he became unreal, a caricature. Perhaps it’s like the old saying “Truth is stranger than fiction” and in this case I think I’ll stick with fiction. I finished up my grocery shopping and stood behind a young lady with a cart who was between ten and twelve feet away from the checkout. She had sent her little brother down the length of the store to see if any of the other tills were less busy. After probably fifteen seconds I saw someone else step into the line so I also stepped in front of her. Another ten or so seconds went by and I was solidly punched on the shoulder from behind, a man’s voice telling me that they were in line and that I had butted in. I turned and this apple-cheeked very clean little-but-chunky “gentleman”, probably about my age and a foot shorter, was glaring at me. I suggested they weren’t in line…that they were almost to the other side of the aisle. He called me an old man without manners. I told him I didn’t waste my manners on insipid little cretins then I saw the look on, what I assume, was his granddaughter’s face. She was embarrassed, no question. She had her head down and was looking away. I also saw the young lady in the next checkout unlock the till so I grabbed my basket and gave up my spot third back in line and took first spot at the next checkout. Another man with a basket followed and got behind me. He congratulated me on my self-restraint. He’d seen the whole thing and said that the old man was lucky that he hadn’t punched him as he would have punched back. That thought had crossed my mind. I was through the till and heading for the door when I gave a little nod and wave to my adversary who had not yet managed to start unloading his cart. He glared at me again and tossed a finger my way. I won, he lost. It was a shallow victory as, and I hate to admit this, my gut feeling was still to circle around behind this jerk and give him a solid punch on the shoulder but the look on the girl’s face somehow washed that all away. And I don’t know why. In my mind I was clearly in the right but even if I hadn’t been I object to anyone thinking they are entitled to punch me without some sort of retribution. I now find myself angry that I didn’t lash out at him, give back a little of what he gave me but this is, and always has been, against my nature. Of course the fact that other than a couple of incidents in my old school days nobody has ever actually punched me makes it easy for me to make this claim. And so this apple-cheeked, squeaky-clean little bully got away with one…or did he? I keep thinking of the girl pushing the cart and how she probably knew they weren’t really in the line-up as such. She saw her kindly grandfather punch someone then give them the finger. Was this a shattering of his image or was this something she was used to seeing? I think of how my kids or grandkids would react if I had been in his position and done what he had done. It would be so out of character for ‘Grandpa’ that I think it would shock them and perhaps taint the impression they have of me. I wouldn’t want them to see me assault another human being no matter how minimal the aggression was. On the other hand if I was the one being assaulted I’m pretty sure that all my kids would have thumped the guy before I’d had a chance to turn around. Of course whichever one of them had done it would definitely receive a stern lecture on kindness and peaceful co-existence from me…over a celebratory drink or two.